Tigress Avni also referred to as T1 by the forest department, was shot and killed on Friday. This is following a hunt that went on for nearly one year. The tigress is believed to have killed 13 people of which 5 were reported dead within 24 hours in August of this year. The killing of the tigress has led to widespread protests across India. According to wildlife activists, the Wildlife Protection Act and guidelines issued by the forest department was violated during the hunt. Avni was reportedly shot down by the son of controversial Hyderabad based hunter Shafat Ali Khan, who was hired by the Maharashtra forest department. S Mungantiwar, the Minister of Forest in Maharashtra government has also come under criticism from the Union Minister for Women & Child Development Maneka Gandhi, for issuing the orders to kill the tiger. This is not the first time the controversial hunter Shafat Ali Khan was charged with hunting tigers by the Maharashtra government. He had caught a tiger alive last (2017) year near Brahmapuri in Maharashtra. An order was passed on September 4 2018, by A.K. Misra, principal chief conservator of forests to eliminate the tigress if all efforts to capture and tranquilise the tiger failed. On 11 September 2018, The Supreme Court upheld the order issued. The son of Nawab Shafat Ali Khan, 37-year-old Asghar, was the one who shot the tiger. Asghar was not hired by the government. He claims that he killed the tiger in self defence after the tiger charged at him. The forest department did not respond when asked by The Print about his role in the mission. 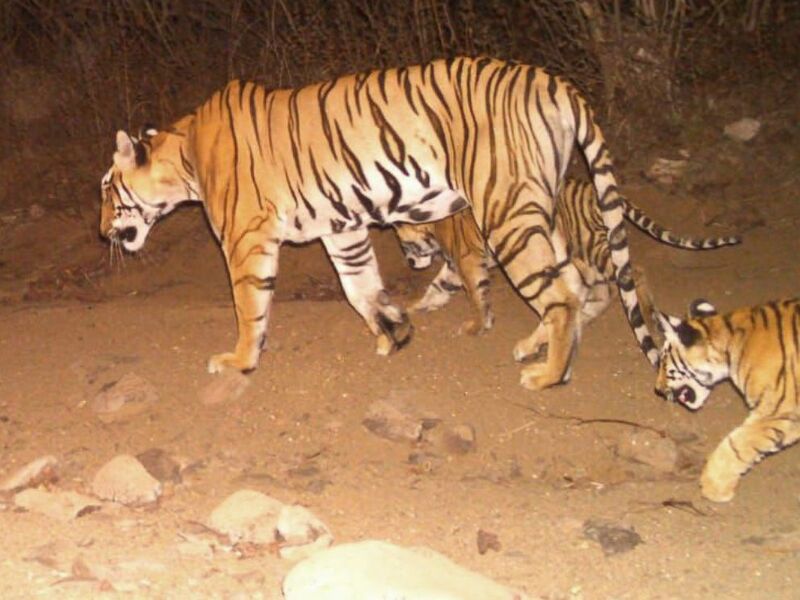 The tigress has two cubs and their whereabouts are unknown. Wildlife activists believe that it will be hard for the cubs to survive without their mother and that the cubs should have been caught before Avni was killed. The Forest Department has also said that it is confident that it will be able to catch them alive in the next 5-6 days. Avni was shot at Yavatmal which is near the Tipeshwar wildlife sanctuary. Tipeshwar is a small tiger reserve of about 148 sq km. Tipeshwar was declared a wildlife sanctuary in 1997. The forest then received migrating tigers from Tadoba, about 60 km away. Mohan Guruswamy in his article for Asian Age says the population of tigers at the park is now about 12, with one male, three females and eight cubs. Tigers are extremely territorial so they will fight other animals that invade their space. Tipeshwar is a wildlife conservation success story of Maharashtra forest department. It is completely filled and it is only natural that they migrate outside the forest. The tigers cannot go back to Todaba since both the sanctuaries are now separated by a busy national highway. The absence of buffer forest compounds the problem further and they migrate to open agricultural fields where they are forced to feed on domestic livestock and evolve into man-eaters. 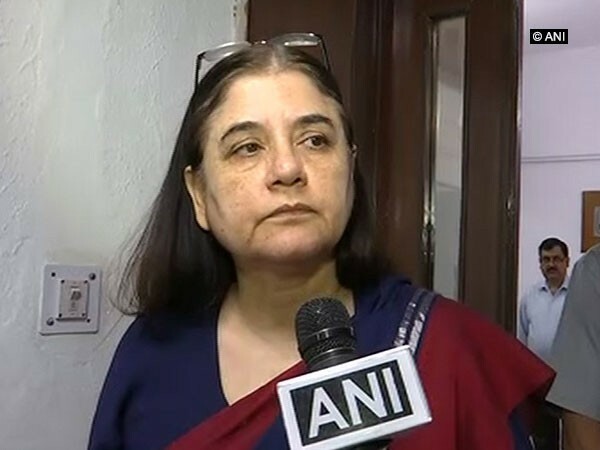 Maneka Gandhi In her Facebook post has accused Shafat Ali Khan of killing 3 tigers, at least 10 leopards and 300 wild boars in Chandrapur, Maharashtra. Shafat Ali Khan in the past was arrested for supplying arms to Maoists and for indiscriminately killing wild animals. The shooter was in the news in 2016 for shooting blue bulls or nilgai in Maharashtra and Bihar. These animals are natural preys of tigers, upsetting prey base. The fact that Shafat Ali Khan was tasked with the mission to shoot or capture Avni even after his previous track record had infuriated many activists and animal lovers, makes the hunting intention suspect. There was also criticism from within the forest department about Shafat Ali Khan’s management of the mission which was conveyed in a letter written to the Maharashtra chief conservator of forests by the deputy conservator of forests (DCF) in mid-October 2018. The DCF had then alleged that Shafat Ali Khan had missed two golden opportunities to catch the tiger alive. This has raised questions on why the government is trusting a private individual to undertake such missions.